The AH Beard Domino Summit 1000 (Deluxe) queen mattress with extra firm feel is the entry point into the Summit Support System. Featuring both peak and support pocket coils. The AH Beard Domino Summit 1000 (Deluxe) queen mattress with firm feel is the entry point into the Summit Support System. Featuring both peak and support pocket coils. 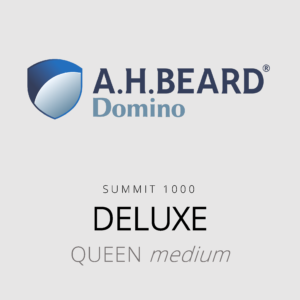 The AH Beard Domino Summit 1000 (Deluxe) queen mattress with medium feel is the entry point into the Summit Support System. Featuring both peak and support pocket coils. The AH Beard Domino Summit 1000 (Deluxe) queen mattress with plush feel is the entry point into the Summit Support System. Featuring both peak and support pocket coils. The AH Beard Domino Conforma (Harmony) queen mattress with firm feel is the entry point into the brand’s pocket spring range. 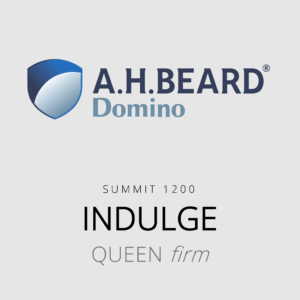 Featuring Conforma Coil and Profile Edge Support. The AH Beard Domino Conforma (Harmony) queen mattress with medium feel is the entry point into the brand’s pocket spring range. Featuring Conforma Coil and Profile Edge Support. The AH Beard Domino Conforma (Harmony) queen mattress with plush feel is the entry point into the brand’s pocket spring range. Featuring Conforma Coil and Profile Edge Support.